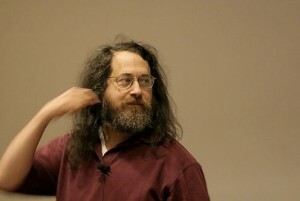 Richard Stallman, president of the Free Software Foundation, free software activist, founder of the GNU Project and the GNU General Public License will be in Marseilles on Wednesday, February 22 for an exceptional conference entitled “Free Software, Free and Solidarity Society”. This event is co-organized by Marsnet-Assodev* and the Centre for open electronic publishing, with the contributions from several institutions and associations. The conference will be held in the main auditorium of the St. Charles campus of Aix-Marseille University. The conference will be held in French. Admission is free. More information about the schedule in a few days. Stay tuned. * Assodev-Marsnet includes a hundred of associations from the Provence region and aims to develop a social and solidarity economy by supporting the use of free software and ethical and solidarity Internet tools.